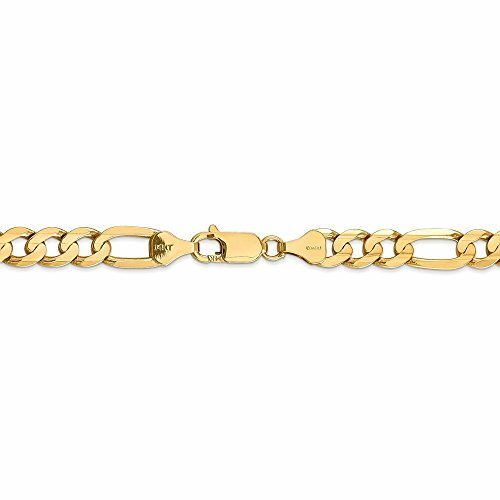 This classic lightweight Figaro chain comes in a dainty slim style, this chain is sure to become a favorite. Polished to a gleaming shine, this sleek chain has a great deal of visual charm. 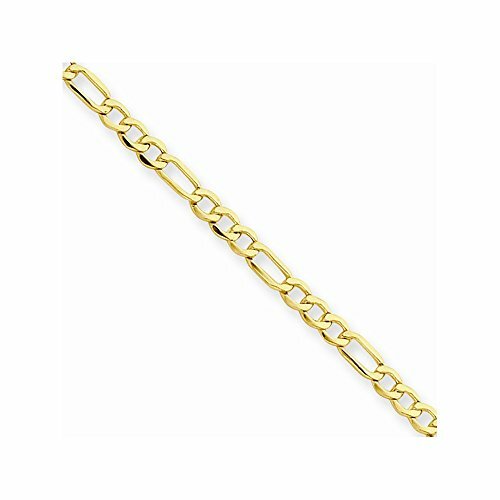 The 14K yellow gold Figaro links form an attractive jewelry piece secured with a lobster claw clasp.This versatile chain works comfortably for both every day wear and formal settings. The hollow links are making a lightwiegt yet durable piece and will last a lifetime when properly cared for. To keep this high polished chain shining and scratch-free, avoid contact with chlorine and other harsh chemicals.Do not wear jewelry during rough work and be sure to store it in a fabric-lined jewelry box or pouch. To clean gold jewelry, use warm water, a mild soap, and a soft cloth, if needed. 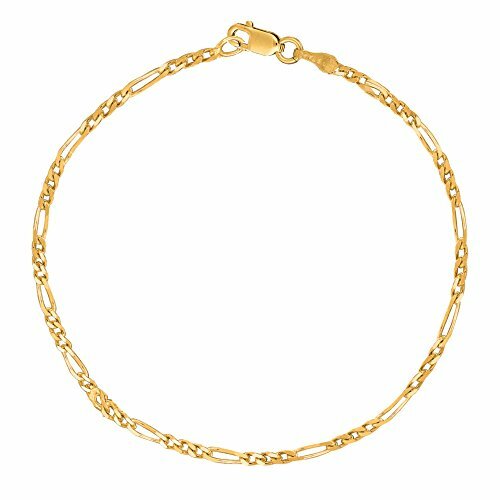 Genuine 14k Solid Gold Figaro Link Classic Chain Anklet, Bracelet, or Necklace Available in 2 chain widths: 1.3mm (dainty,delicate) or 2.8mm (sturdy)These beautifully crafted and well designed chains are hypoallergenic, nickel free, and must be handled with care.Also available in white-goldAvailable Lengths: 7" (bracelet) 10" (anklet)16" (suitable for children)18"20"22"24" Durable lock clasps for comfort and security when worn. Chains are great for small and light pendants only This jewelry will make a great accessory and compliment any style and occasion. All items come with gift box Properly marked and stamped PICTURE IS ENLARGED FOR DETAILING. Your Satisfaction is important to us! If you are unsatisfied with your purchase, for any reason, you may return the item for a FULL REFUND within 30 days of purchase. 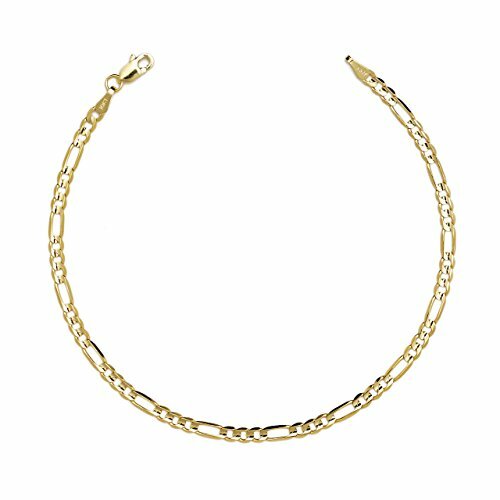 ICECARATS DESIGNER JEWELRY 14K YELLOW GOLD 2.5MM LINK FIGARO CHAIN ANKLET FOR WOMEN ANKLE BEACH CHAIN BRACELET 10 INCHMaterial Purity : 14KFinish : PolishedLength : 10 inChain Length : 10 inChain Type : FigaroChain Width : 2.5 mmClasp /Connector : LobsterFeature : Semi-SolidManufacturing Process : CastedMaterial : GoldWidth : 2.5 mmProduct Type : JewelryJewelry Type : ChainsSold By Unit : EachAnklet Type : Chain StylesMaterial Color : YellowManufacturing Process 2 : Machine MadeOUR MISSION & BELIEFSOur mission at IceCarats is to celebrate our customers and enhance their lives journey, honoring life's memorable occasions and enhancing the beauty of everyday through our extensive collection of quality jewelry.THE ICECARATS STORY - CRAFTSMANSHIP...QUALITY...VALUEJewelry is our passion - IceCarats is devoted to craftsmanship, quality, and value. Each piece hand stamped for authenticityMADE WITH LOVE FROM US TO YOU - QUALITY WITHOUT COMPROMISEWhen you purchase jewelry from the IceCarats collection, you buy with confidence - Lifetime Warranty and 30-Day Returns .ELEGANT GIFT PACKAGING - JUST ANOTHER REASON TO SAY YES!Receive Elegant Gift Packing On Every Order with IceCarats! 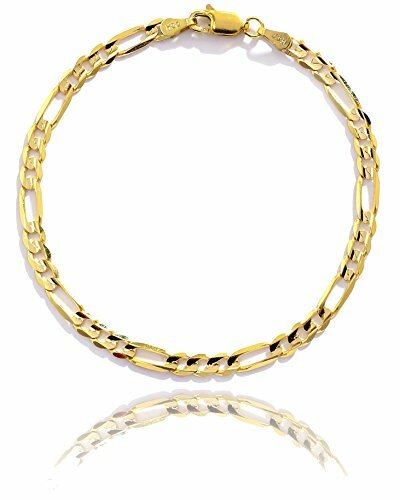 The classic concave Figaro chain comes in a dainty slim style, this chain is sure to become a favorite. Polished to a gleaming shine, this sleek chain has a great deal of visual charm. 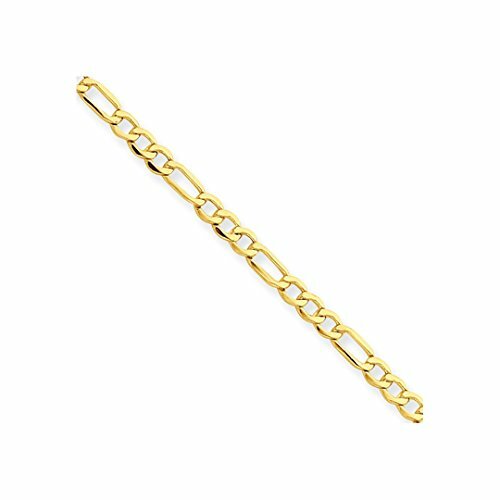 The 10K yellow gold Figaro links form an attractive jewelry piece secured with a lobster claw clasp.This versatile chain works comfortably for both every day wear and formal settings. The solid links are durable and will last a lifetime when properly cared for. 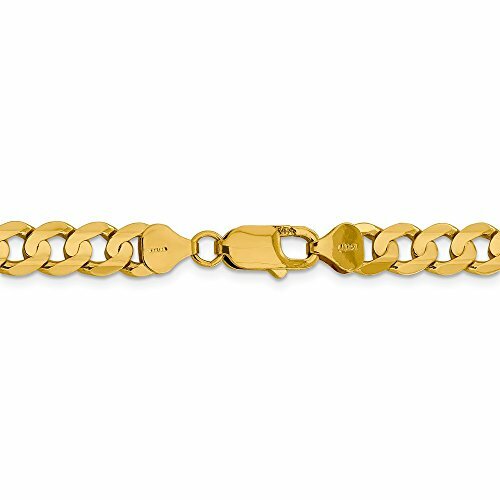 To keep this high polished chain shining and scratch-free, avoid contact with chlorine and other harsh chemicals.Do not wear jewelry during rough work and be sure to store it in a fabric-lined jewelry box or pouch. To clean gold jewelry, use warm water, a mild soap, and a soft cloth, if needed. 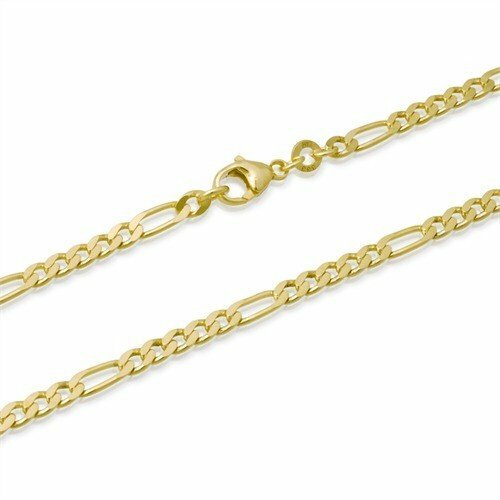 Looking for more 14k Figaro Anklet similar ideas? Try to explore these searches: Knee Tilt Office Chair, Red Canoe, and Gold Nurse Charm. Look at latest related video about 14k Figaro Anklet. Shopwizion.com is the smartest way for online shopping: compare prices of leading online shops for best deals around the web. 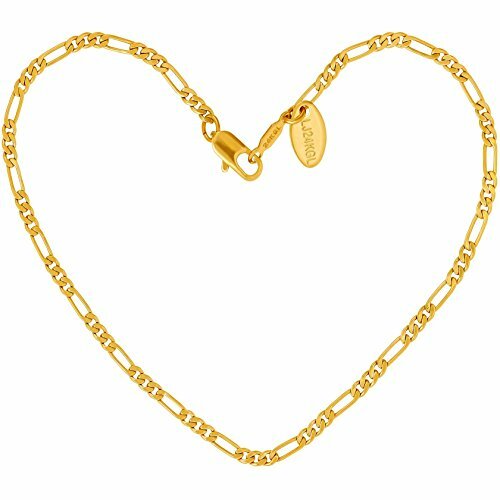 Don't miss TOP 14k Figaro Anklet deals, updated daily.